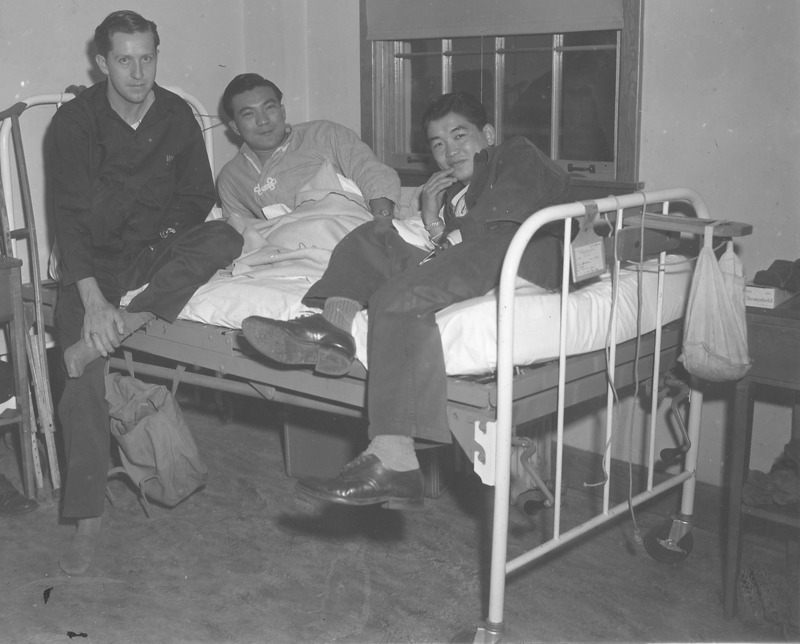 Photo of three wounded World War II soldiers, including Wallace Doi (center) and Don Seki (right), at the Bushnell hospital in Brigham City, Utah, in 1944 or 1945. The Wallace and Mary Doi Collection, Special Collections, J. Willard Marriott Library, University of Utah. Used by permission of Special Collections, J. Willard Marriott Library, University of Utah. “Soldiers at Bushnell hospital -- Wallace Doi, Don Seki and others,” USU Digital Exhibits, accessed April 21, 2019, http://exhibits.usu.edu/items/show/18765.